Health professionals and community workers can use the materials in this toolkit during February and beyond to raise awareness about heart health and the importance of social support for meeting health goals. Share these Facebook and Twitter resources to encourage people to be heart healthy together. Share these social media assets on Facebook and Twitter and tag @TheHeartTruth. Use these PowerPoint slides during educational presentations or anywhere in your community with a screen such as waiting rooms, faith-based services, cafeterias, and more or print out and use as flyers. Use this template to write in how you're being heart healthy with friends or family. 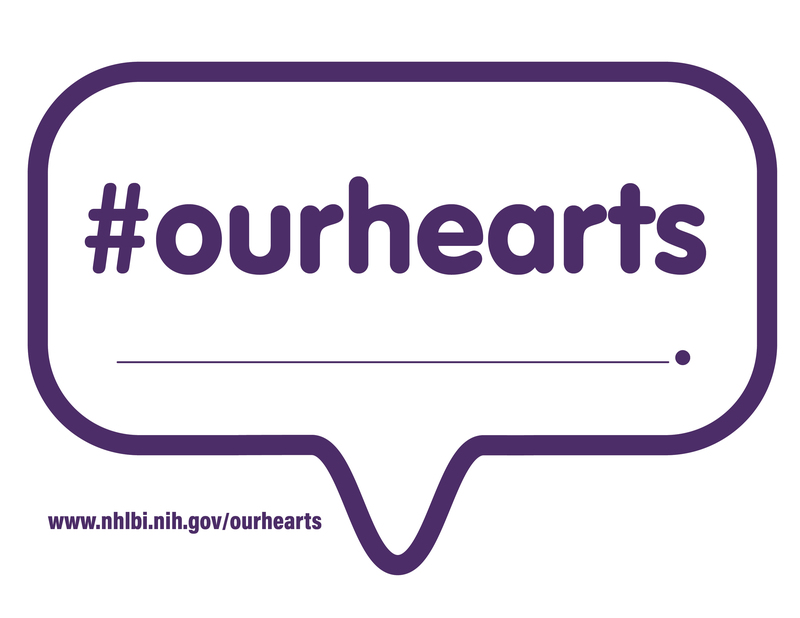 Then take a selfie with it and post it to social media using #OurHearts. Learn more about the keys to heart health.